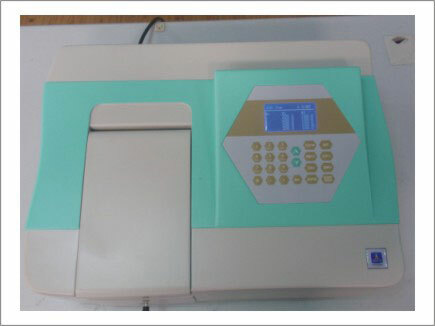 UV/Visible Spectrometer Model UV-BT 660 - Analytical Equipment - Products - Brite Technologies, Ultimate Laboratory Solutions, Analytical Equipment, Clinical/ Medical Education Products, Refrigerators (scientific), Laboratory Equipments (axiom Gmbh), Canada. BRITE UV-660 is developed for precise test, the tremendous optical system & electric design ensures very low stray light only.05% T Instrument is flexible, easy to use and maximize value. 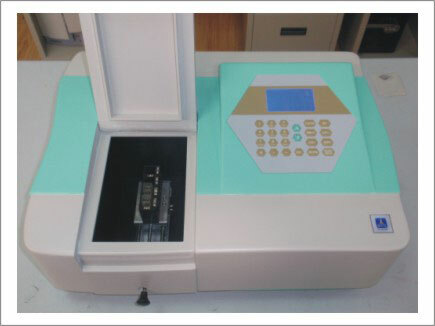 Instrument can be upgrade to scanning system through optional Brite application software based on windows provides complete control of spectrophotometer. Software covers Quantitative, Kinetics, DNA/Protein test, Wavelength Scan, Multi wavelength. Instrument can accommodate 5-100m path length sample holder due to large sample compartment and variety of optional accessories are available to support your work and analyses. 1. Large LCD screen can display standard curve and kinetics curve. 2. BT-660 can save more then 150 data and more then 75 standard curves in the Ram to help chemist in future to check and reload the save tests. 4. Tungsten lamp & deuterium lamp can be turned on/off individually to extend lifetime. 1. Data still available even power lost. 2. Instrument can measure ABS & T of the samples. 1. Total 100 curves can be saved in the RAM and utmost 9 standard samples can be used to establish a standard curve and can measure unknown concentration of Solution by the curve. 2. Put the known coefficient K & B in the formula by using key pad and test your unknowns’ solution. Brite’s PC-Control software for UV/VIS 6 series windows based application software is optional. The windows based pc software is optional and have the capabilities to work as a stand alone. The software offers photometric mode, Quantitative test (standard curve) , wavelength scan, Kinetics, DNA/Protein, multiwavelength , system utilities. To establish calibration curve up to 15 standards solution ca be use. Four methods are available for fitting a curve through the calibration points. Cubic fit, square fit, linear fit through zero and linear fit. Software can calculate concentration and DNA purity, absorbance ratio DNA concentration protein concentration , are the main features of the software. Multiple wavelengths can be set for the measurement of the samples. This function can be used for recording curves of changing photometric values of sample against time course at selected wavelength. A full complement of sampling accessories including Sippers ,8 position auto cell changes, water jacketed cell holder, etc.